Customize our Afternoon Dinner Party Menu Template and more! 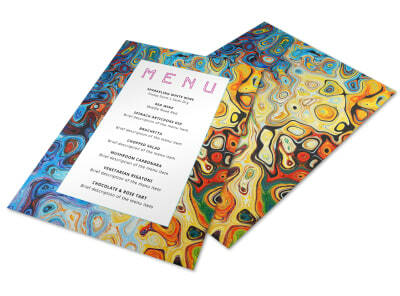 Plan your elegant dinner parties with this menu. 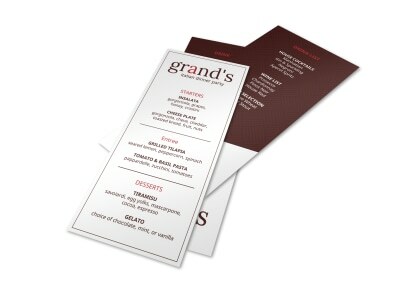 This menu can be tailored to feature any and all of your favorite afternoon dinner courses. 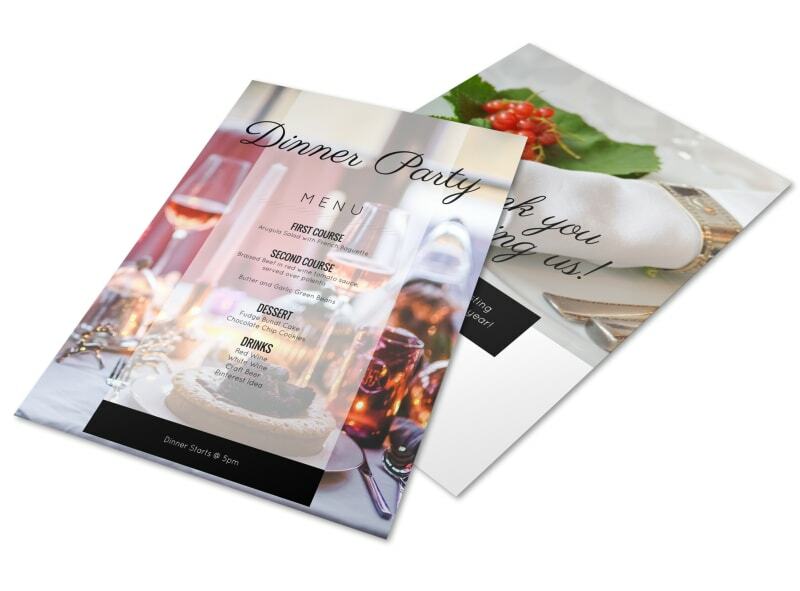 Customize the menu with dazzling photos of your enticing appetizers, main course, desserts, and beverages, then send to our printers so you can focus on preparing the big meal.